I seem to be stuck in an endless cycle of assembling, priming and half-painting stuff! This photo is pretty embarrassing, showing most of the figures I have started this year. 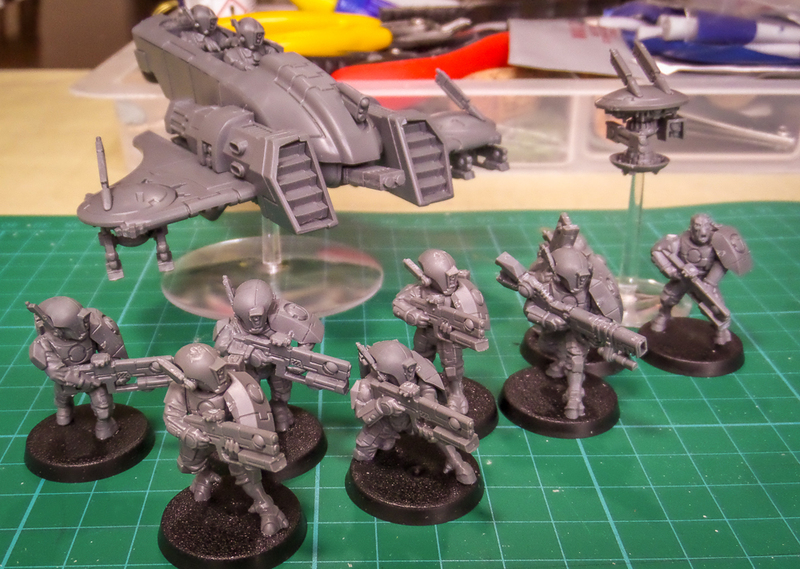 On the left, some recently assembled Tau. Front of centre, some Mierce Albain - intended for Saga Picts, Scots or Irish. At the rear, a couple of dwarf pieces. Then there's the part painted vikings and primed Lord of the Rings dwarfs. There's even a steampunk figure in there. I am hoping to knuckle down and get some of these completed in the next few months. As I mentioned recently, one thing I want to do is learn how to use an airbrush, hence the Tau plastics. 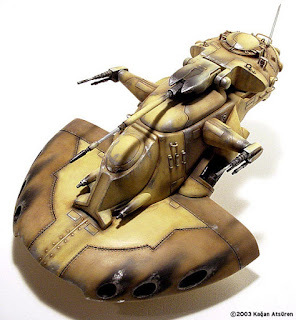 The Pirahna vehicle should prove a good testing ground, plus I might also be able to paint parts of the infantry with the airbrush. I have about three more squads of this size to put together. They are configured with an eye on the Gates of Antares rules - squads of eight, which includes a leader and a "big gun" upgrade, plus a drone/droid thingy. Before I get too carried away on that front, I want to finish the viking archers and paint the Picts. Too many figures! Judge Dredd is 40! 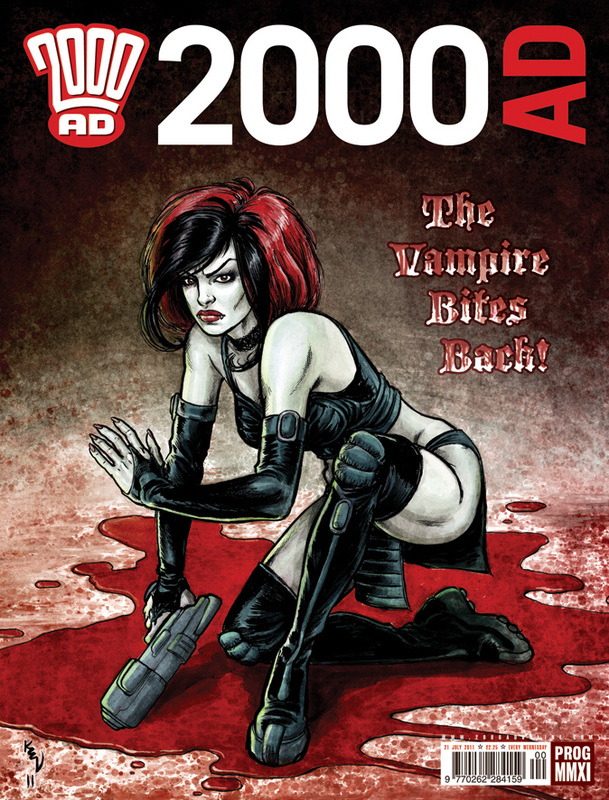 More specifically, it's the fortieth anniversary of comic 2000ad - the first issue was February 26th, 1977. 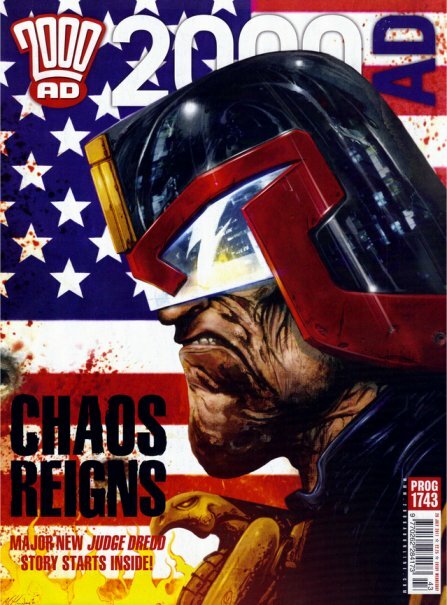 Technically, Judge Dredd only appeared in the second issue, but I'm not gonna argue with him if he wants a cake, or cigar, or whatever Mega City Judges celebrate with. It was a bit before my time and probably beyond my meagre weekly pocket money. 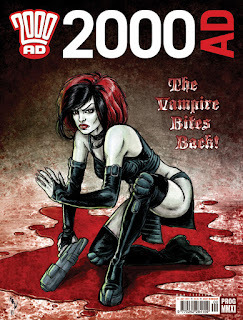 I discovered 2000 ad when I was in my twenties I think. I bought it pretty much every week for a few years - only recently I cleared a couple of boxes of brown-aged, crinkled issues from the attic. I have no idea what issues they were, I guess I was a half fan. 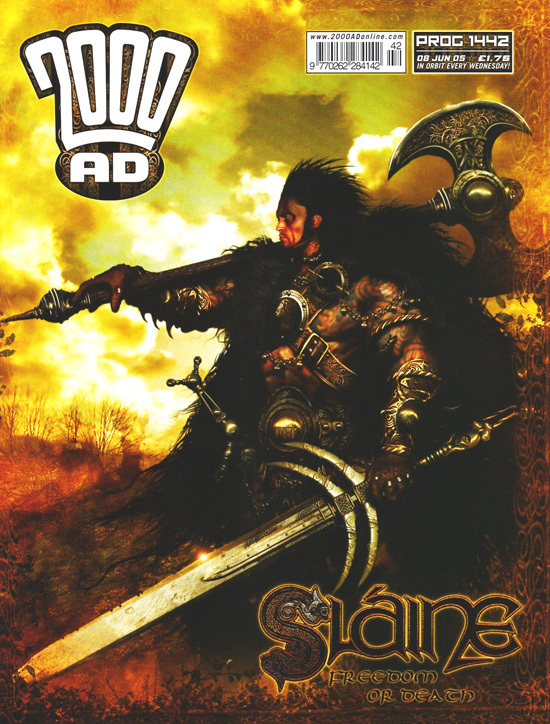 I only really bought it for the stories about Slaine, a time travelling, body warping, axe swinging hero based (loosely) in pre- dark ages Ireland and Britain. I did enjoy the Dredd stories, and a few others such as Strontium Dogs, ABC Warriors and Durham Red. 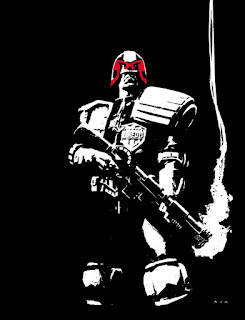 Warhammer 40K fans should note that Rogue Trooper began life as a comic strip in 2000ad. The event has not achieved the same publicity as Star Wars or any other large franchise, but it did make the BBCwebsite. I guess the best thing about reaching a ripe old age as a cartoon is that you probably look better now than back in the day. Things have been fairly quiet here on the blog for the past few months. One reason for this is that I have a lot of commission work ongoing - by the time the weekend arrives I have very little energy for my own projects. I have also fallen into a bit of a rut, painting the same old subjects in the same old style. I cannot (and would not want to) reduce my commission work, but I can make changes to my personal projects. I want to try something new, move out of my comfort zone. Hopefully, this will give me a burst of energy and inspiration. Time to find out if a change really is as good as a rest. 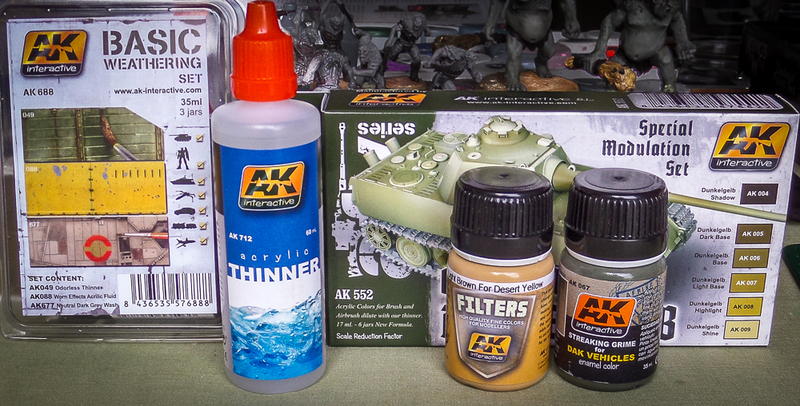 Today the postman delivered the materials I need for this new project - a range of AK Interactive products. 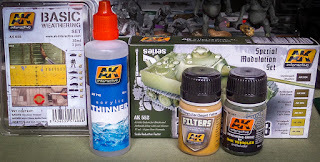 I have had an airbrush for some years but never really used it for anything more than basecoating. I am not a fan of painting that looks like it has been airbrushed, if that makes sense. I want to experiment to see if I can reproduce the more realistic finishes that are seen in the historical/vehicle world. But I will not be painting historical subject matter. This picture shows the kind of thing I am aiming for. A whole new world awaits. At the end of season 1 of the campaign, both my armies (Danes and Vikings) had done well - winning battles and gaining wealth, troops or whatever. For the second season we again let the dice decide what each faction would do, leading to the rather strange situation of three of the four defending. 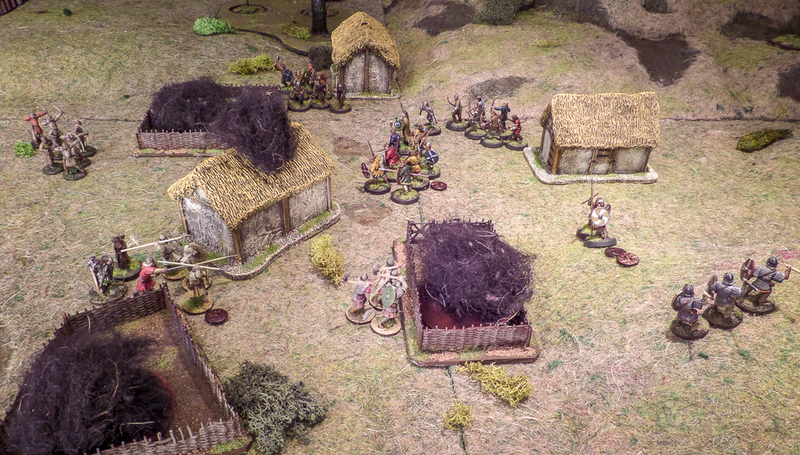 So we had just one game to play, Danes raiding a Saxon village. 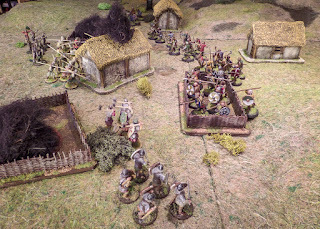 It was a straight battle with victory points determining the winner, with the attacker gaining bonus points for every field or hut burnt to the ground. We double checked the setup, but it was definitely straight into the action as two units of Danes immediately set fire to two fields. With a time limit of just seven turns, the Danes could not afford to hang back and pile fatigue on to their enemies, a tried and tested tactic. Instead, as the Dane commander I spent most of my Saga dice purely to move around as many units as possible, with an occasional use of the intimidation ability to cancel an enemy activation. The nearest hut went up in flames, while hearthguard pressed on to attempt to torch the third field, this by now defended by Saxon warriors. Over in the centre, Danish levy once more proved a thorn in the enemy's side, as their arrows brought down a unit of hearthguard. Resistance by the Saxon defenders was weak, their warriors no match for the Danish hearthguard - the third field was soon ablaze. The game was coming to and end now. The Danes made a final push around the rear of the Saxon army and made it to the penultimate hut, but were unable to set it alight. Satisfied with the carnage they had wrought, they withdrew back to their own encampment. In points terms it was quite close, but adding in the bonus for the burning fields and hut it was a clear victory to the Danes. In the post game phase, both forces suffered a slight decline in their numbers due to battle attrition. The Danes had plenty of wealth and were able to reinforce some of these losses, but the Saxons are penniless and have to rely on the mercy of the fates. This was reasonable with another six levy joining, but the Saxon commander is really struggling and thinking of defecting to Welsh allies! At the end of season 2 the Saxon contingent is really struggling, while the Danes and Vikings are roughly neck and neck in front. Three games in then and it's possible to make a slightly more informed opinion of the Age of the Wolf supplement. 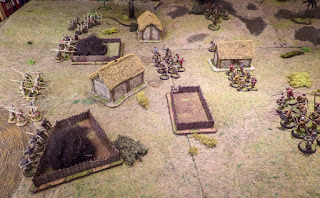 It's a great idea, there are four new scenarios to play (including the one above) and there is huge scope for narrative development with all the little traits and abilities of the warlords, the fates, reinforcements, and such like. The book is pretty well laid out and it's reasonably easy to follow the procedure around seasons, games and campaign mechanics. There is a problem with forces being mismatched, it's not explained at all well. And the random events can be very unfair - Saxon flood and famine coupled with Vikings gaining ten hearthguard (elite) troops springs to mind. As we prepare for season three it's clear that the Saxons are really struggling. It's also very unclear as to there being any way they can get out the predicament.